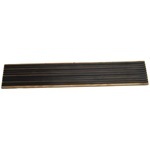 Runningboard matting. Fully molded rubber strips with full length steel cores molded in. 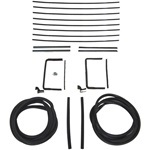 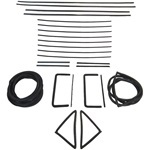 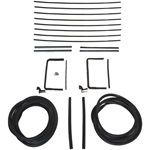 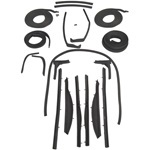 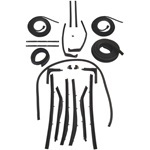 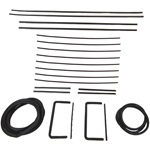 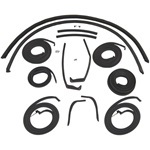 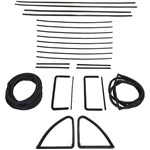 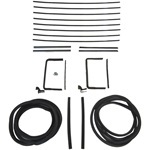 This kit includes the weatherstrip components needed for the glass on your restoration project. 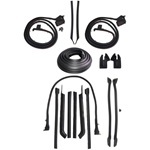 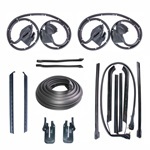 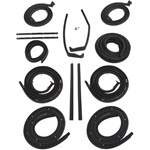 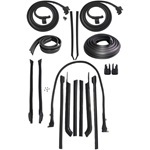 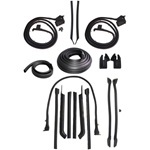 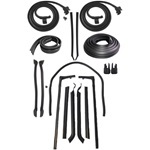 Front + Rear Door Weatherstrip Kit. 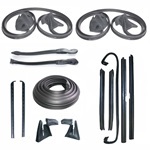 The comprehensive kit includes all the weatherstripping as needed for the doors to body for a complete restoration. 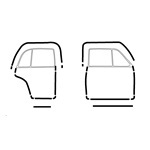 Includes all 4 doors and body seals.